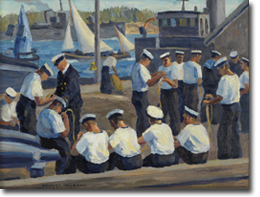 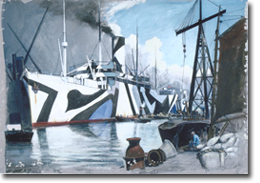 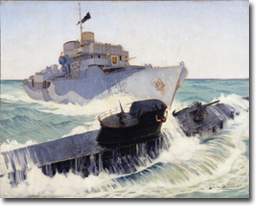 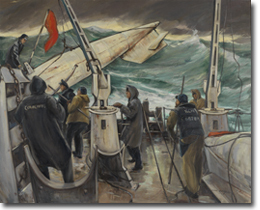 The Navy: A Century in Art marks the 100th anniversary of the founding of Canada’s navy. 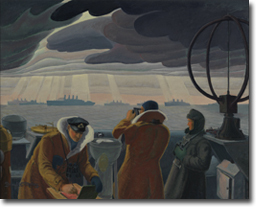 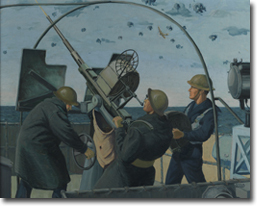 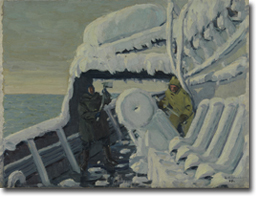 It features 46 paintings from many of Canada’s leading war artists, and demonstrates how geography, history and war have shaped the navy through its first century of service. 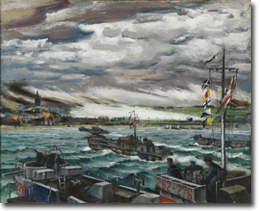 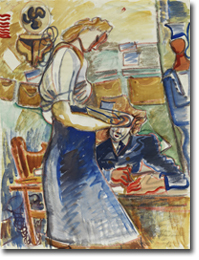 The works in this exhibition are drawn mainly from the Museum’s Beaverbrook Collection of War Art. 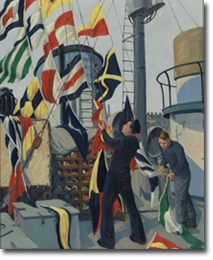 They capture the diverse roles, traditions and activities of this national institution. 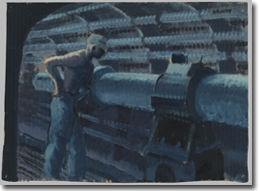  The exhibition will be presented at the Canadian War Museum from November 11, 2010 to March 20, 2011.